The indie game developer’s complete guide to running a studio. The climate for the games industry has never been hotter, and this is only set to continue as the marketplace for tablets, consoles and phones grow. Seemingly every day there is a story of how a successful app or game has earned thousands of downloads and revenue. As the market size increases, so does the number of people developing and looking to develop their own app or game to publish. 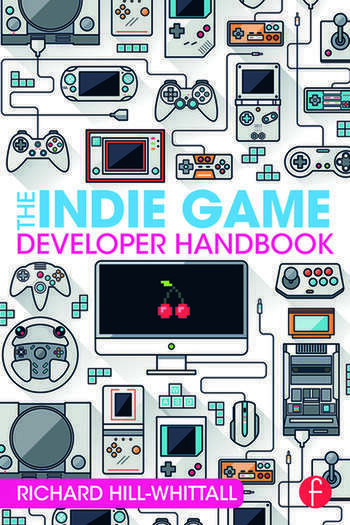 The Indie Game Developer Handbook covers every aspect of running a game development studio—from the initial creation of the game through to completion, release and beyond. Accessible and complete guide to many aspects of running a game development studio from funding and development through QA, publishing, marketing, and more. Indie Game Development: The Best Job in the World! Richard Hill-Whittall started out developing video games in 1995, at a company called Stilltunna Software. His first game was called XTreme Racing for the Commodore Amiga, and his primary role was artist and track designer. He has also dipped his toe in the water in other areas, such as PR, business development nd marketing. He knew from that point on that this was what he wanted to do more than anything else in the world. Since he was about 10 years old, video games have been his passion. He would spend hours playing games on his first computer, a ZX Spectrum, dreaming about one day creating his own games. Nearly 30 years later he is doing just that--and he has been for the last 18 years. During this time he has managed the development of, and released, 33 games over 44 different SKUs. In addition to running the development of those games, he was also the lead artist, game designer and often the sound designer.